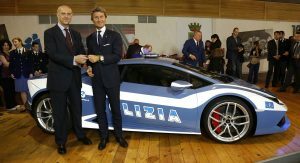 Remember the Lamborghini Gallardo LP 560-4 Polizia that the Italian sports car manufacturer donated to the Italian police? 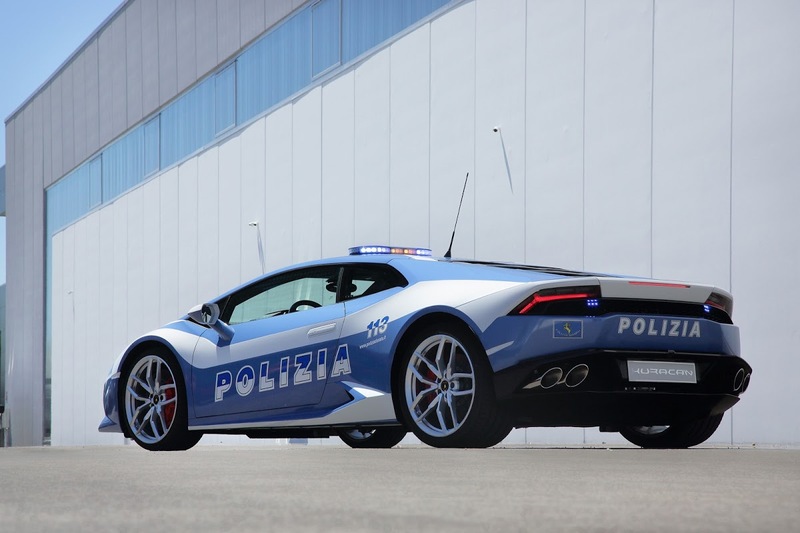 Well, since the Gallardo has recently been replaced with a new model, the Huracán LP 610-4, Lamborghini thought to keep the Italian State Police updated with the latest hardware and built a police version of its newest sports car. 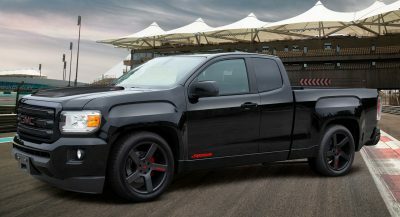 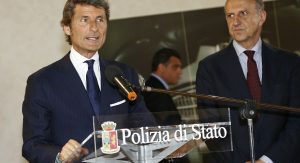 The new police car will replace the Gallardos used by the Italian police force since 2004 and 2008. 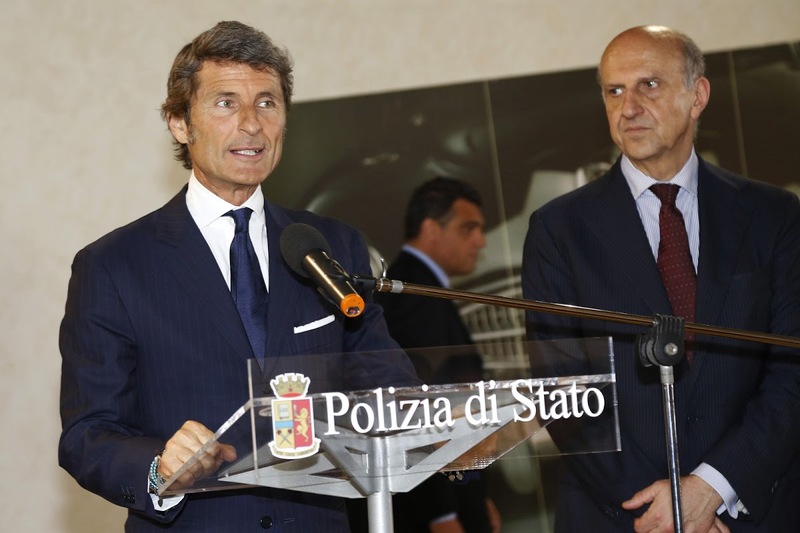 The special vehicle was handed over by Stephan Winkelmann, President and CEO of Automobili Lamborghini, to the head of the Italian State Police, Prefect Alessandro Pansa, in a ceremony in Rome at the “Museo delle Auto Storiche della Polizia di Stato” (Museum of Historic Vehicles of the Italian State Police). 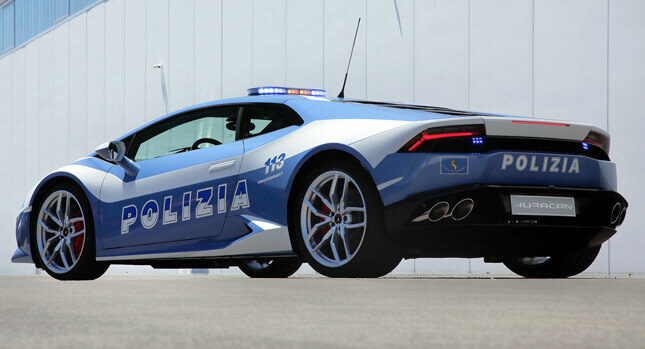 The Lamborghini Huracán LP 610-4 Polizia will be the pride and joy of Italian police officers and will begin patrolling the country’s roads towards the end of the year to help prevent accidents and crime. 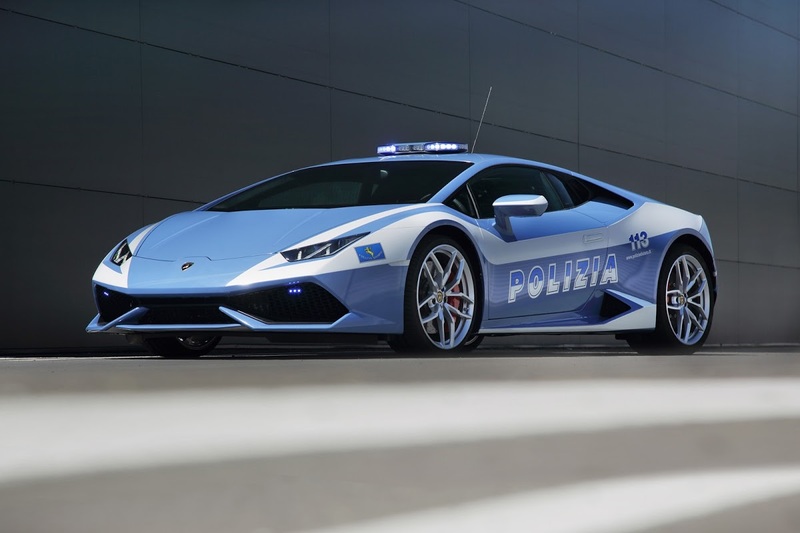 The lucky police officers who will get to call the Huracán their office will no doubt appreciate the increased power of the 5.2-liter naturally aspirated V10 engine compared to the Gallardo. 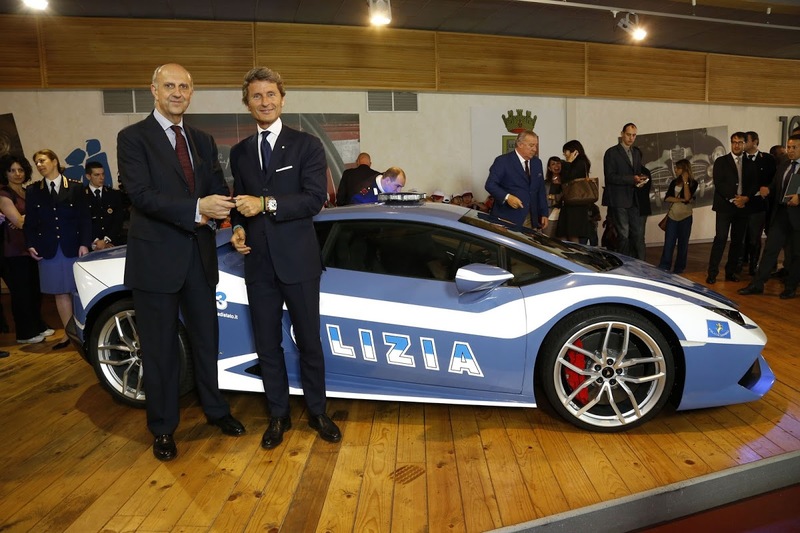 In the Huracán LP 610-4, the powerplant produces 610PS (602hp) – 50PS (50hp) more than in the Gallardo. 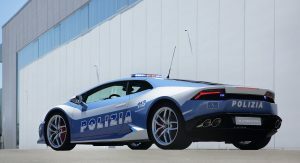 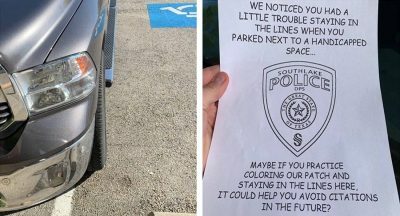 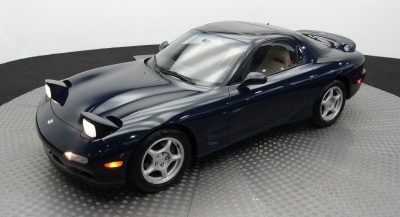 In theory, the breathtaking acceleration of the car (0-100 km/h in 3.2 seconds) and its 202 mph (325 km/h) top speed should discourage most attempts to run away from the police.